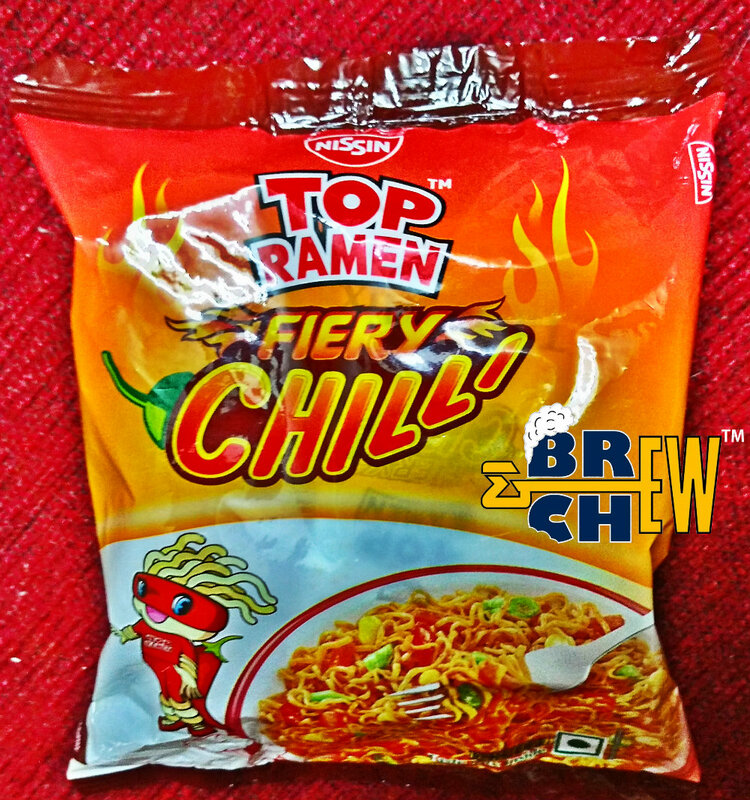 Top Ramen Fiery Chilli Noodles is a spicy precooked and dried instant noodles sold with flavoured seasonings. 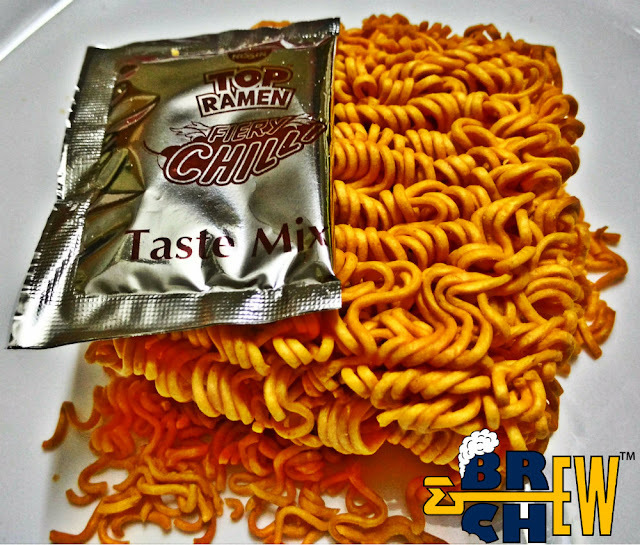 Top Ramen is actually Nissin's original long “squiggly” noodle also known as Smoodles. This 3 minutes instant noodles are delicious according to the flavours but the new Top Ramen Fiery Chilli Noodles is hot and yummy. The new Top Ramen Fiery Chilli Noodles is a spicy red angry looking thing. The flavours are well balanced with the noodles and increased spicing gives it a boost. The dry noodles actually look red in colour and to manage that even the seasoning is made from red chilli. This noodle is smooth like the other Top Ramen noodles but the spiciness takes it to a whole new level. The chilli flavouring is been managed with the noodles giving it a well-balanced twist on your taste buds. Finally, the new Top Ramen Fiery Chilli Noodles is really worth a try and I think all you foodies surely would like it. 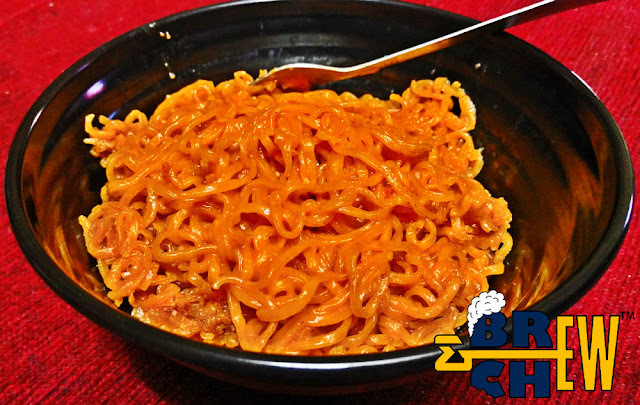 This noodles is smooth like the other Top Ramen noodles but the spiciness takes it to a whole new level. 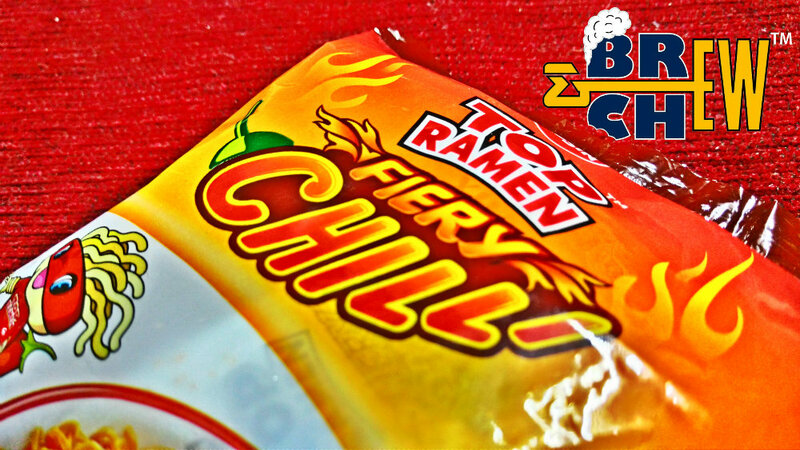 These noodles are actually better than the normal Top Ramen flavor they have been selling for decades now. I won't talk about the vast difference in the tastemaker, but here just for the noodles only. These noodles are on par with KOKA which are very springy and almost zero on starch and noticeable gluten content. They turn a slight tint of translucent on fully cooked. All the more if you leave it in a covered pan with some liquid at the bottom for about 10-15 minutes. During this time, the noodles soak up even more of the residual broth, and they still retain the slipperiness. I would even contemplate that they are using a small portion of potato starch, tapioca flour or something of the sort that is used by KOKA and MAMA. 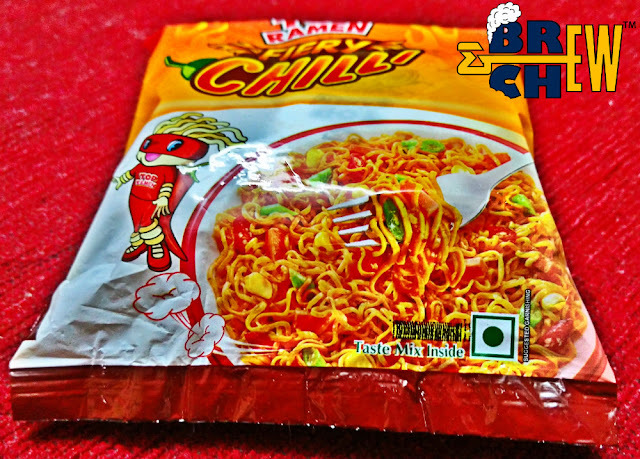 Ultimately, these are probably the best Nissin has come up till date, and I hope they introduce the original Chikin Ramen version somehow as closely replicated as possible, since other dubious brands like Maggi have included Chicken flavors too recently.